Never have been a teacher’s aide or a sub or anything like that, but I thoroughly enjoy On Subbing: The First Four Years by David Roche. Think I got this in some type of nice package when I ordered my 2011 Slingshot Calendar from Microcosm Publishing. I never hear much about Microcosmon the “indie pub circuit” if you will (yes, you will), but they consistently put out quality work, mostly in the innovate non-fiction category. 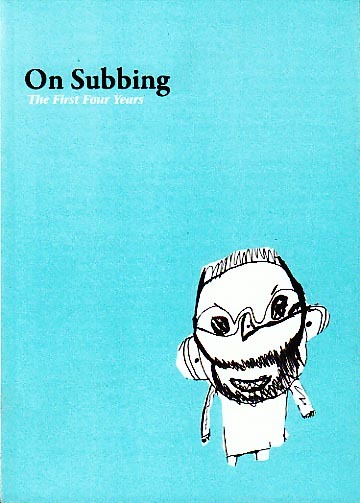 On Subbing is just that — vignettes about subbing, mostly in the special ed. department. Roche bounces between care and annoyance, laughter and embarrassment, and it’s all so quick and easy in a journal burst style with very little overall narrative. Best part so far is when Dave challenges his punk friends to steal school supplies for the school, and they happily oblige.